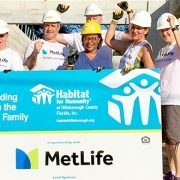 Temple Terrace, FL (April 9, 2019) – The home build site officially opened to volunteers for Habitat for Humanity of Hillsborough County’s third annual “Women Build” construction event April 6th. 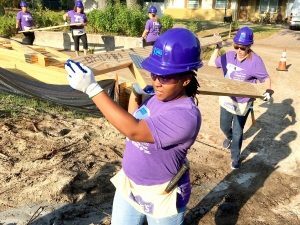 This year, more than 170 Hillsborough County women have registered to don purple hard hats and swing hammers as they come together to construct a Habitat for Humanity home for a single mother and her two young sons. 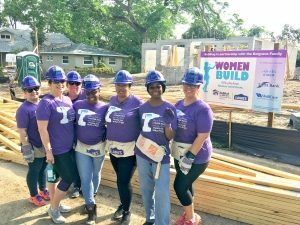 Women Build is a women-themed empowerment construction event for Habitat for Humanity of Hillsborough County. Over the course of 10 weeks, more than 1,200 volunteer hours will have been invested in the Belgrave home when Women Build completes all phases of construction. On opening day, future homeowner Sabrina Belgrave helped raise the roof trusses on her home with a team of 14 volunteers from TCM Bank, a third-year co-sponsor of Habitat Hillsborough’s Women Build. 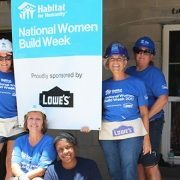 Women Build 2019 is presented by Lowe’s Home Improvement Stores. TCM Bank, WellCare and Cisco are also participating as co-sponsors. In addition to providing funding for Women Build, all four companies will field employee teams of volunteers to assist on the build site over the duration of construction. In addition, to working on the construction site, all Women Build volunteers have worked hard to raise $79,814 to help underwrite construction costs. Combined with the corporate sponsorships, a total of $134,814 has been raised for Women Build. Sabrina Belgrave works with volunteers to raise roof trusses on her home on Day One of Women Build. Belgrave grew up with her father, who relocated often in search of affordable rental housing while she was growing up. She has long wished to avoid that pattern with her own children. 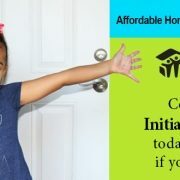 Prior to qualifying for the Habitat Hillsborough program, her modest income had prevented her from obtaining an affordable home to provide that secure foundation for her family. Completion of the Belgrave family home is projected for mid June. 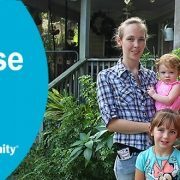 For more information on Women Build, or how to qualify, sponsor or volunteer for a Habitat for Humanity home, please call 813-239-2242.